When we talk about cleaning headaches, we’re not just talking about those stubborn stains that won’t come out. Common household cleaning supplies can be a trigger for many migraine sufferers, and finding ways to keep your home clean without exposing yourself to the offending substances can be a different kind of headache altogether. Let's learn more about how cleaning supplies cause headaches and what you can do to prevent them. How Do Cleaning Supplies Cause Headaches? Volatile Organic Compounds (or VOCs) are gases released from a wide variety of solids or liquids. They are often toxic and can trigger migraine headaches in some people. Besides causing headaches in many individuals, VOCs can be toxic or carcinogenic in some cases. There are thousands of organic chemicals that emit VOCs, notably cleaning and disinfecting products, degreasers, and cosmetics. Other symptoms that may occur as a result of cleaning chemical exposures include itchy skin and eye irritation, according to a 2009 study in Public Health Reports. How Can I Prevent a Headache From a Cleaning Supplies? The U.S. Environmental Protection Agency has named a few things you can do to reduce your exposure to these toxic compounds. Use household products according to manufacturer's directions. 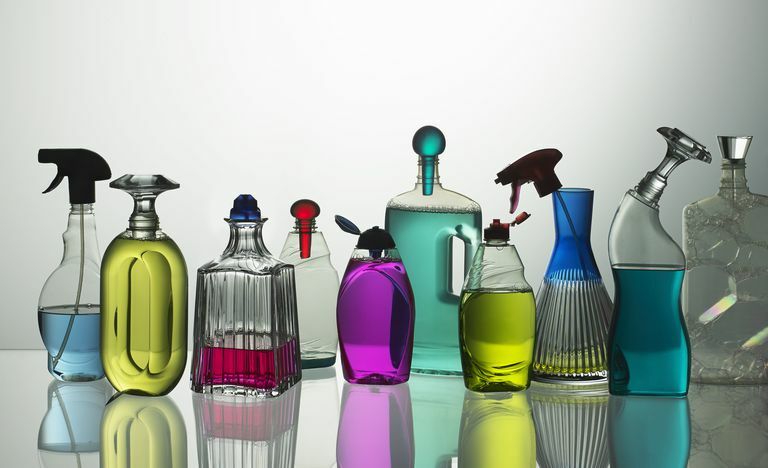 Fragrances or other scents added to many household cleaning products can also be migraine triggers. Pay special attention to specific cleaners that seem to cause problems for you. Be sure to include them in your migraine diary. Finally, limiting the total number of cleaning products you use may also improve your headache health. Above all, notify your physician if you should develop any troubling symptoms, such as confusion, excessive fatigue, nausea, and vomiting, or anything out of the ordinary for your “typical” migraines. ”An Introduction to Indoor Air Quality: Organic Gases (Volatile Organic Compounds – VOCs).” U.S. Environmental Protection Agency. http://www.epa.gov/iaq/voc.html. Pechter E, Azaroff LS, López Isabel, & Goldstein-Gelb M. Reducing Hazardous Cleaning Product Use: A Collaborative Effort. Public Health Rep. 2009;124(Suppl 1):45-52. Can a Mediterranean Diet or Low-Fat Diet Prevent Your Headaches? "I Get Headaches When I Swim and Wear Goggles." Is It Just a Headache or Does Your Child Have Migraines? Is My Headache From a Brain Tumor? Will Taking Ibuprofen Help Prevent Migraines?